H. N. 8-2-293/82/A, Plot No 388/A, Rd No. 22, Jubilee Hills, Hyderabad – 500033, Andhra Pradesh, India. 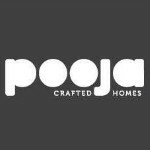 Pooja Crafted Homes (PCH +) has been associated with excellence in development of prime properties in Hyderabad, Bangalore, Mangalore and Vijayawada.